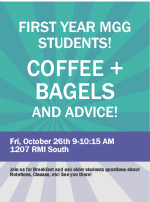 Coffee + Bagels and Advice! 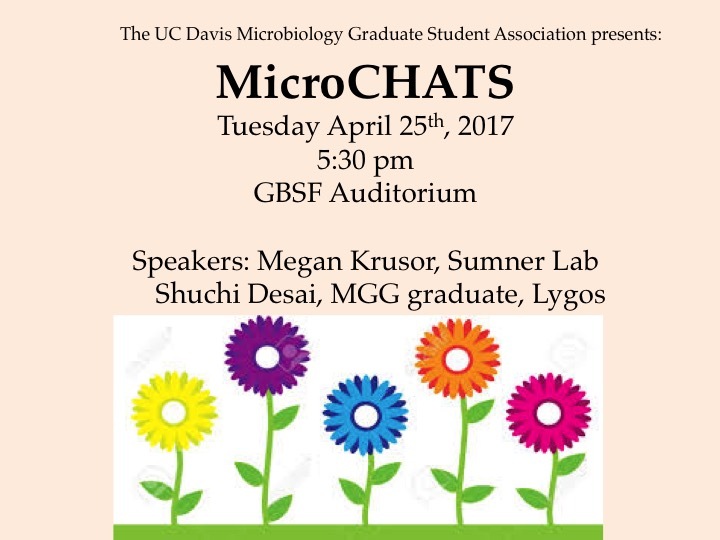 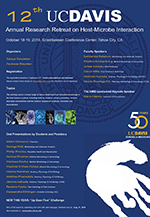 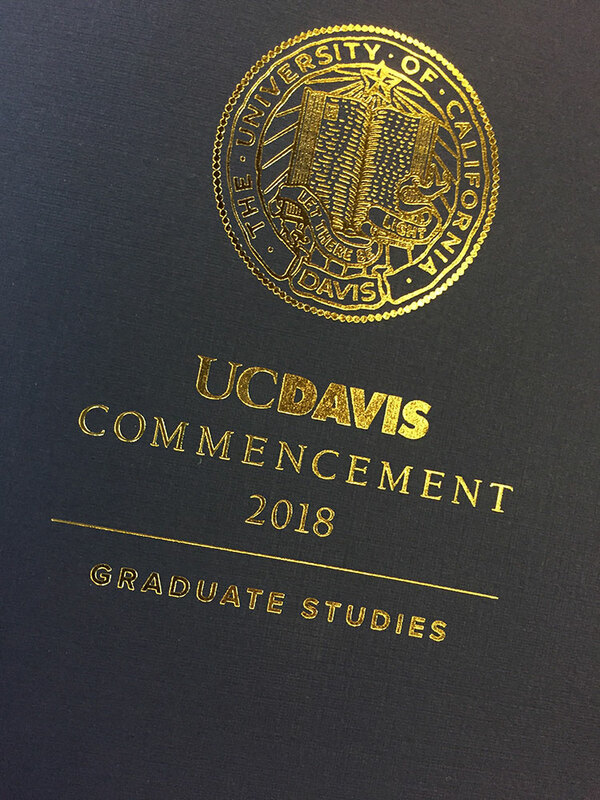 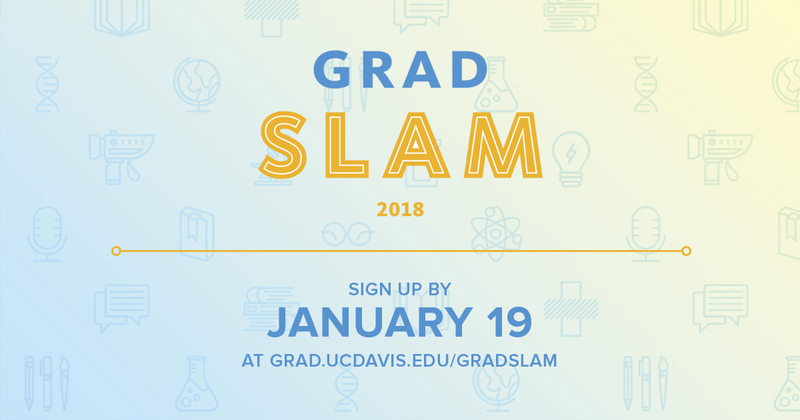 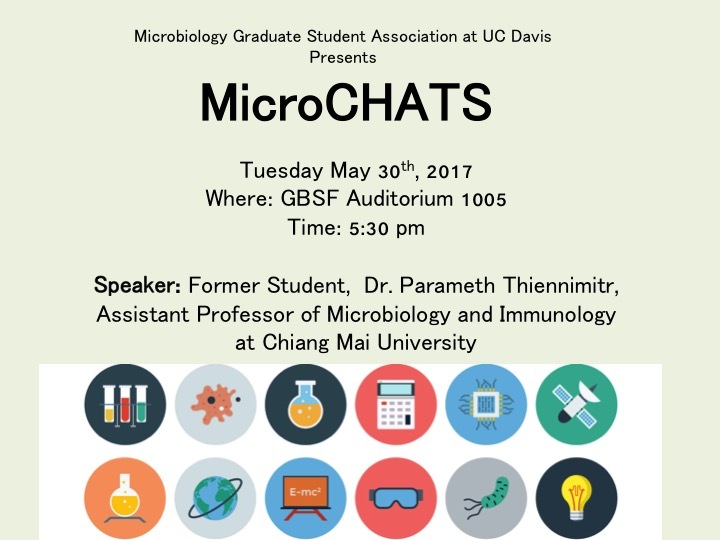 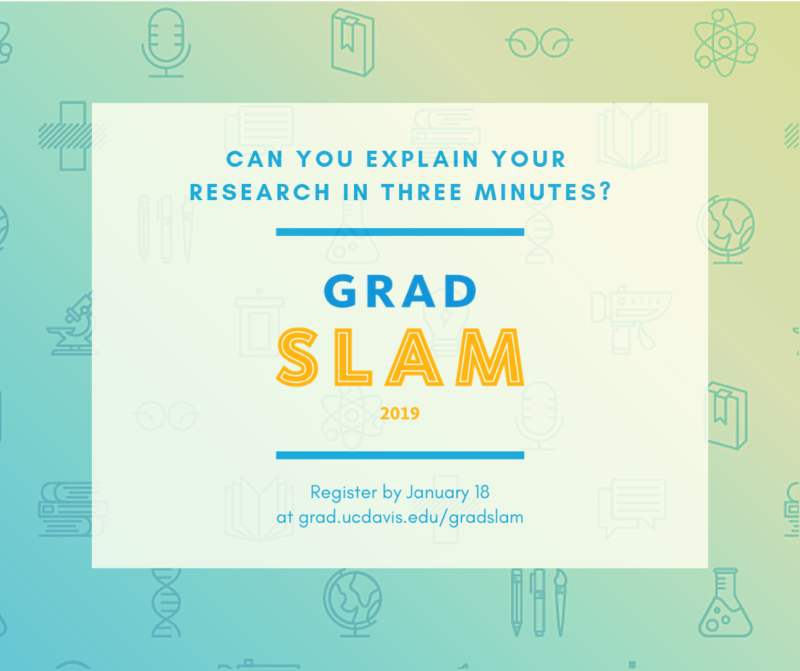 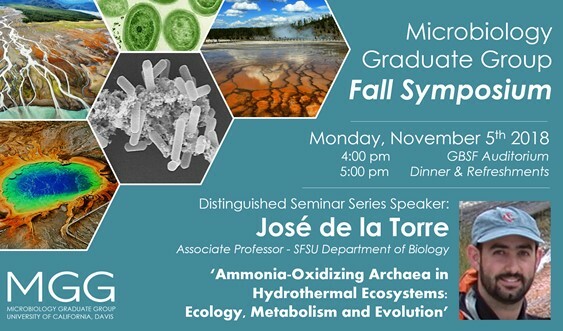 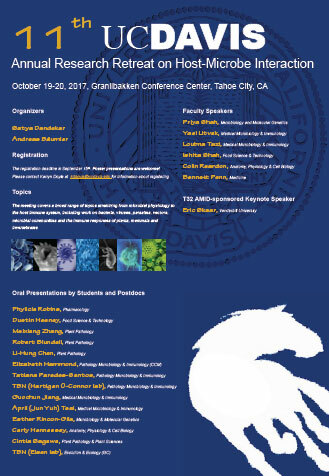 To register, please email Karryn D Doyle (kddoyle@ucdavis.edu). 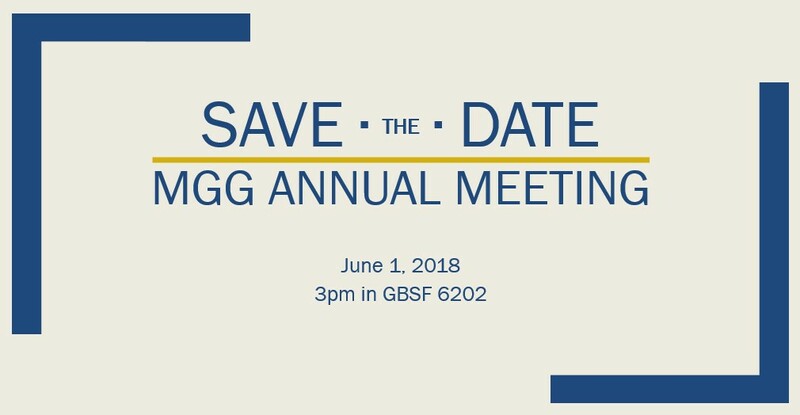 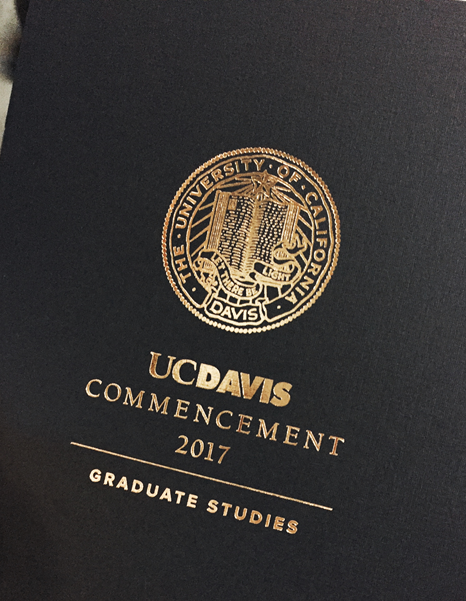 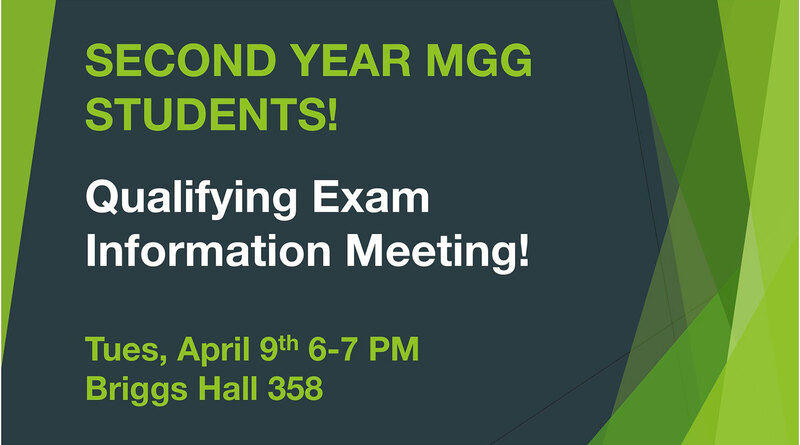 Please join us for an update on the graduate group. 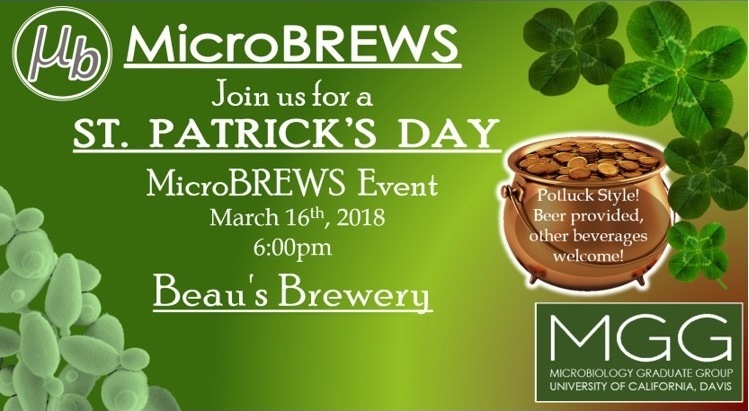 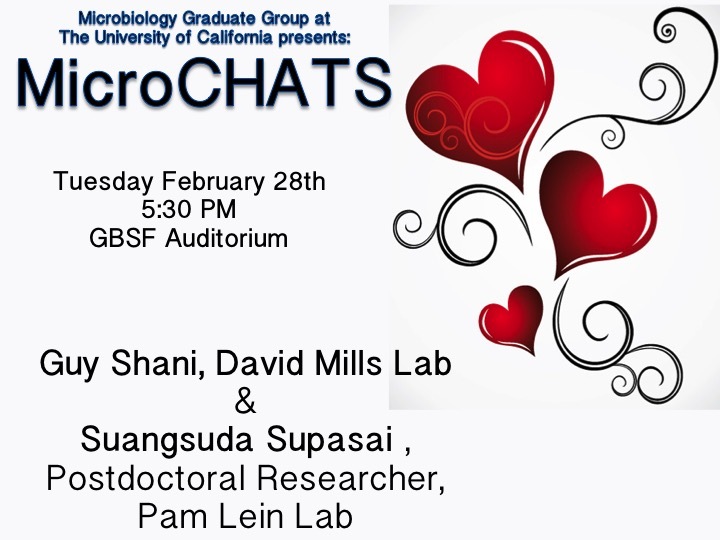 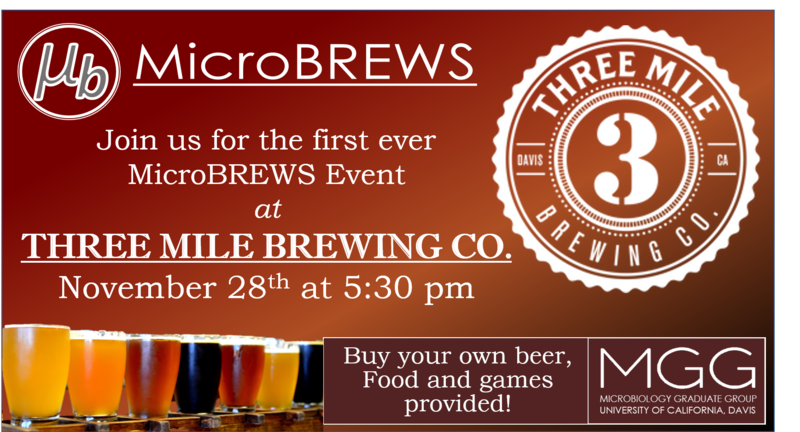 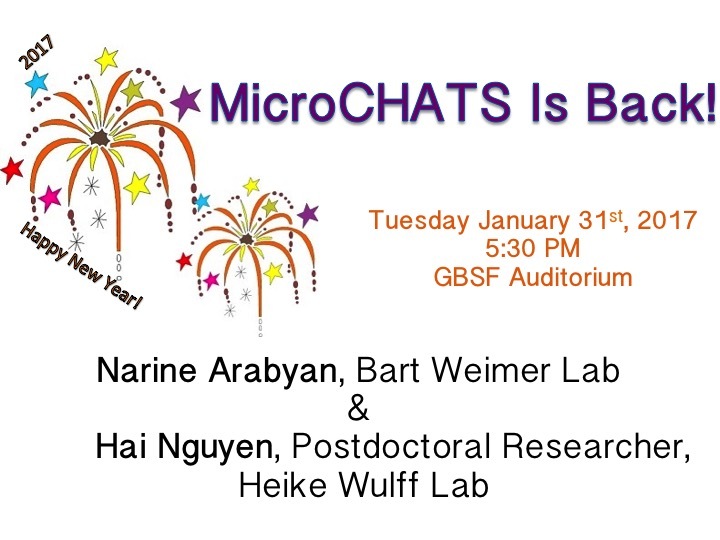 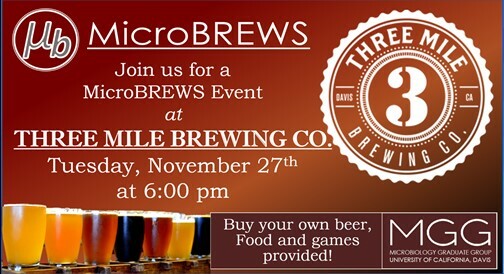 The Microbiology Graduate Student Association is hosting a MicroBrews networking event. 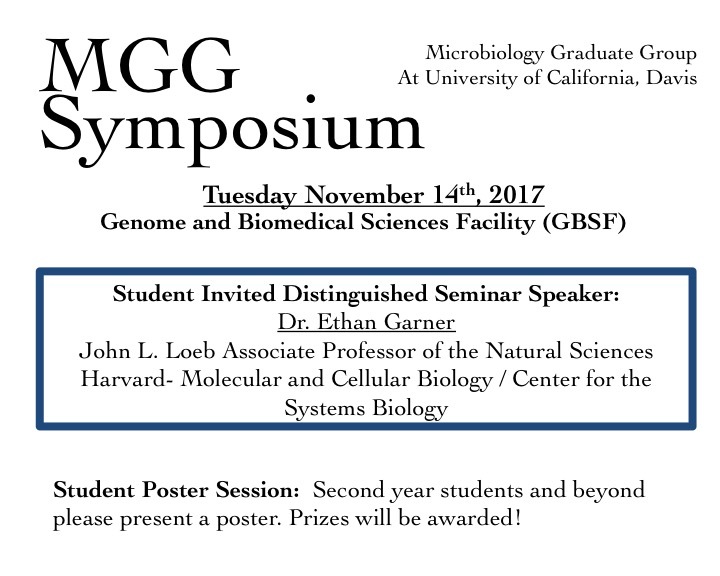 The Keynote Speaker will be Dr. Ethan Garner from Harvard. 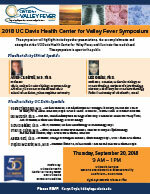 The Keynote Speaker will be Dr. Eric Skaar from Vanderbilt University. 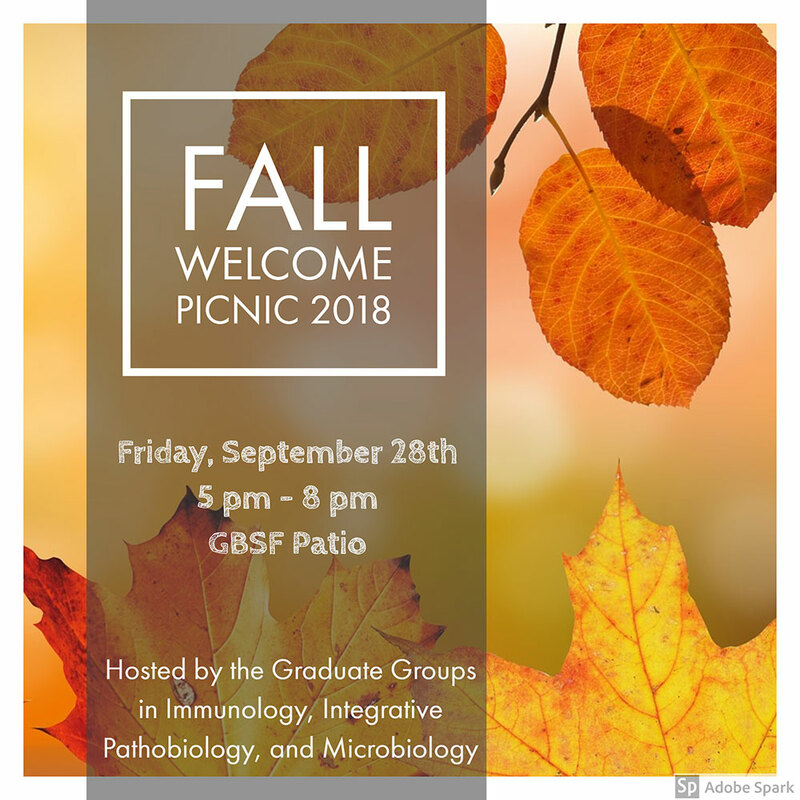 The Microbiology Graduate Student Association officers will be hosting a Fall Welcome BBQ! 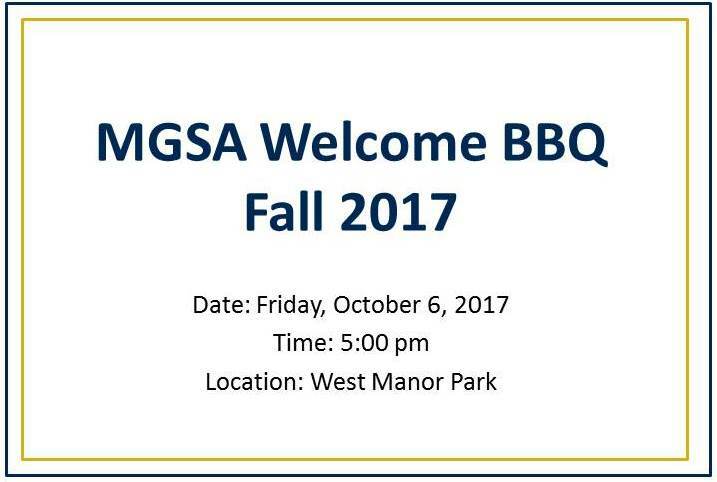 This is another great opportunity to get to know your MGG colleagues and to decompress after the first week of school. 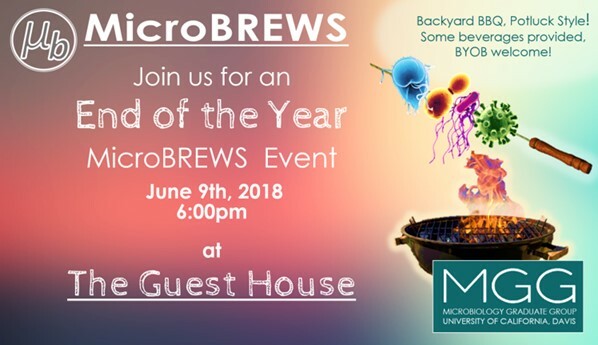 Feel free to bring spouses, games, and pets! 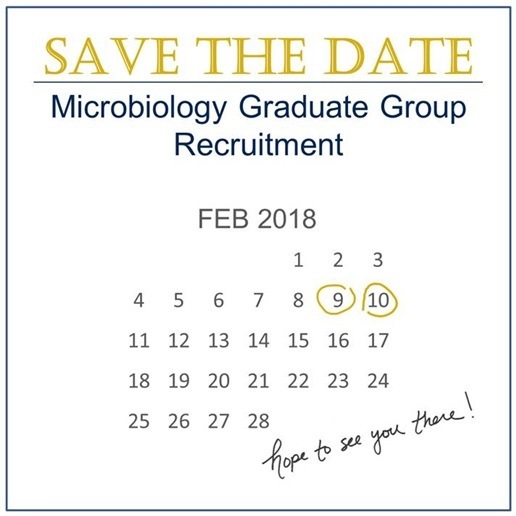 The Microbiology Graduate Student Association now has an official twitter account: @MGGucdavis. 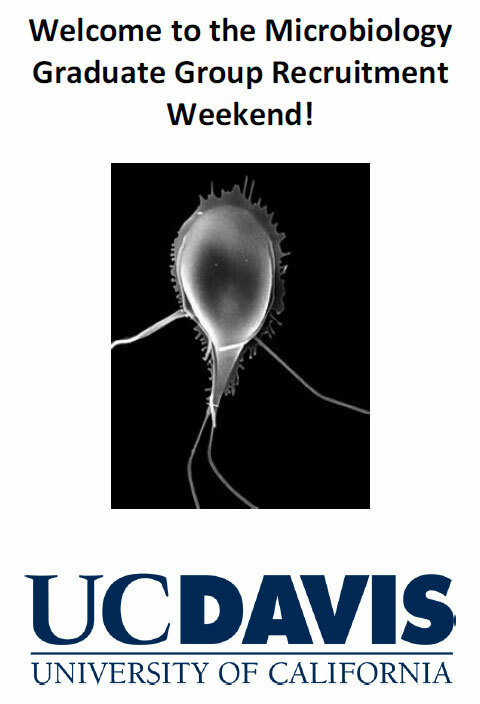 Be sure to follow for updates on research on from faculty, students, and alumni! 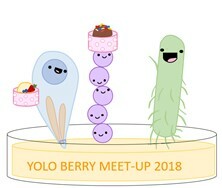 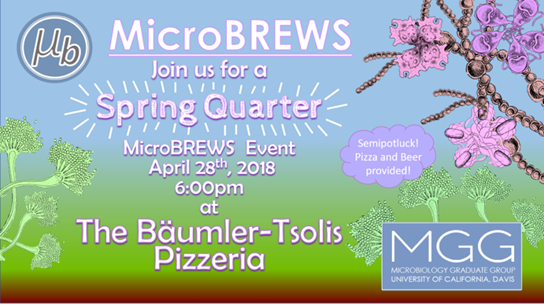 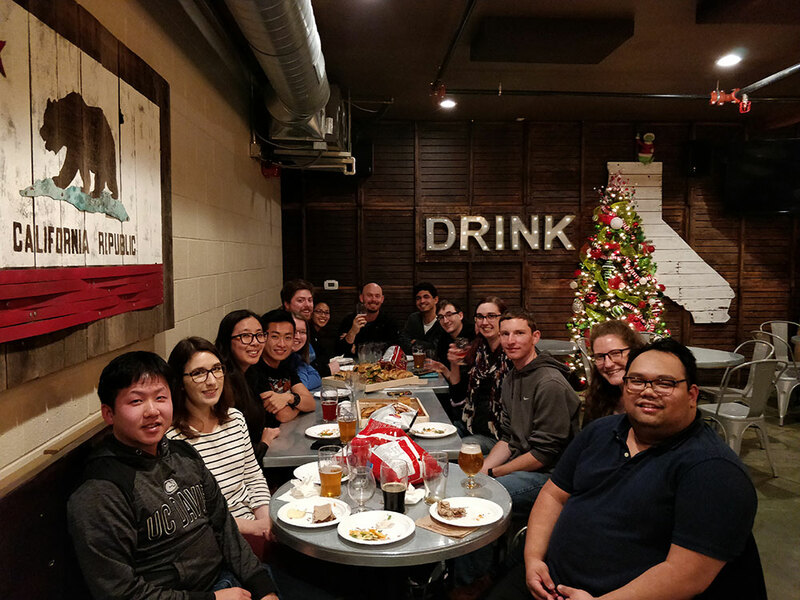 MicroBREWS event (Nov 2018) hosted by hosted by the Microbiology Graduate Student Association (photo provided by Jonathan Lin). 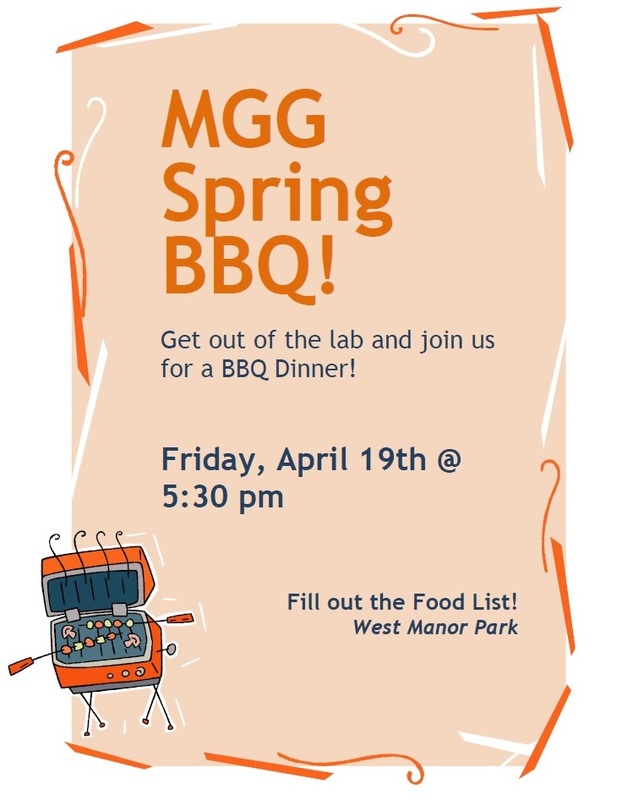 MGG Recruitment Dinner 2018. 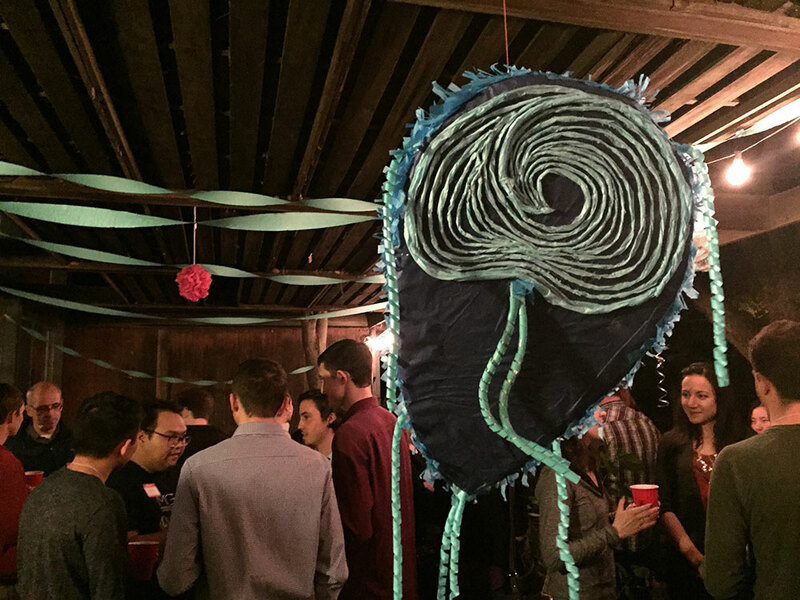 Special thanks to Dr. Scott Dawson for hosting and Sarah Guest for making the piñata (Photo by Jessica W. Toan). 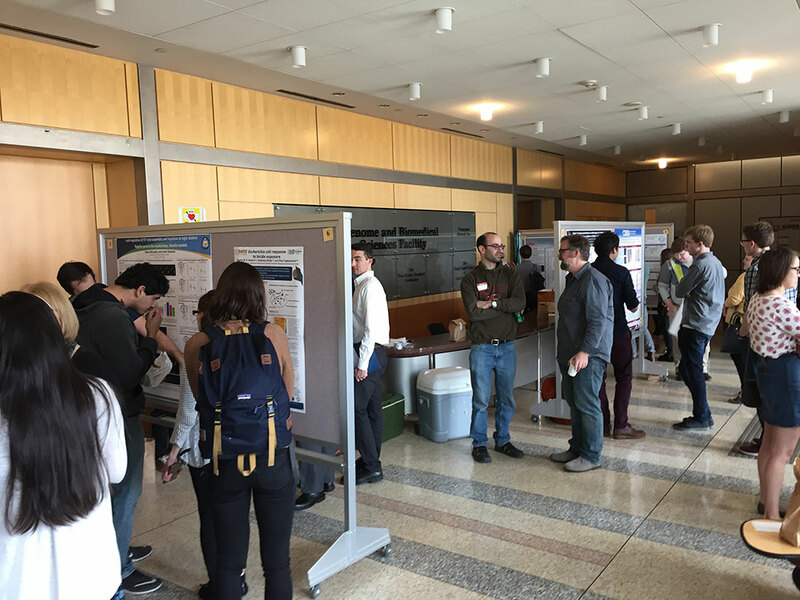 MGG Research Symposium 2018- Student Poster Presentations (Feb 2018, Photo by Jessica W. Toan). 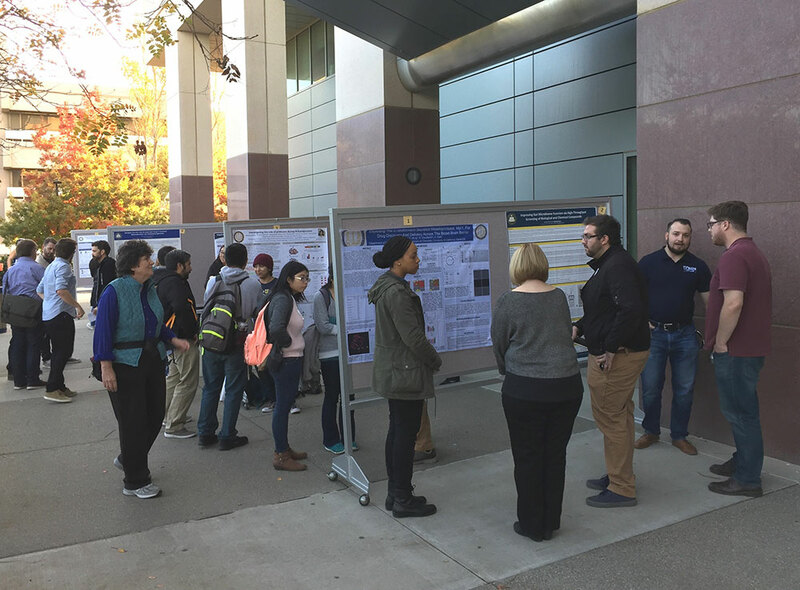 Current students presented their latest research findings in the MGG Fall Symposium Poster Session (Nov 2017, Photo by Jessica W. Toan)! 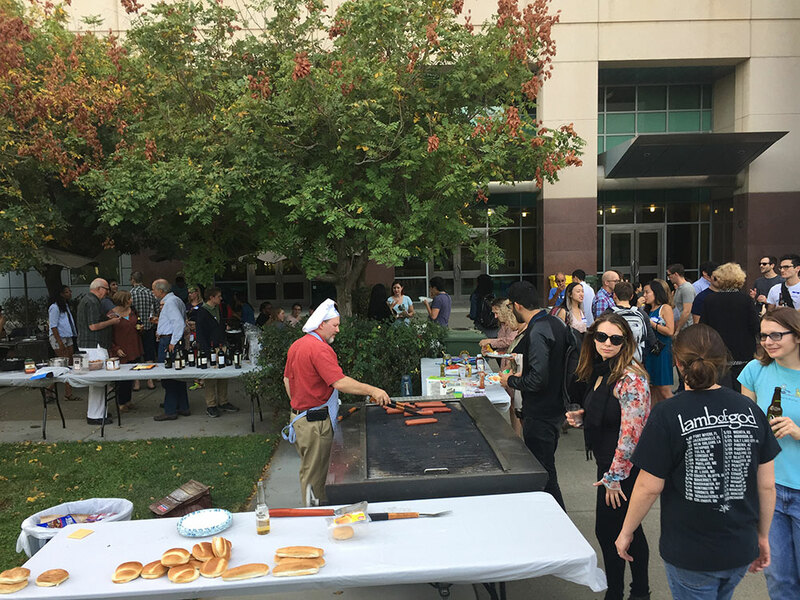 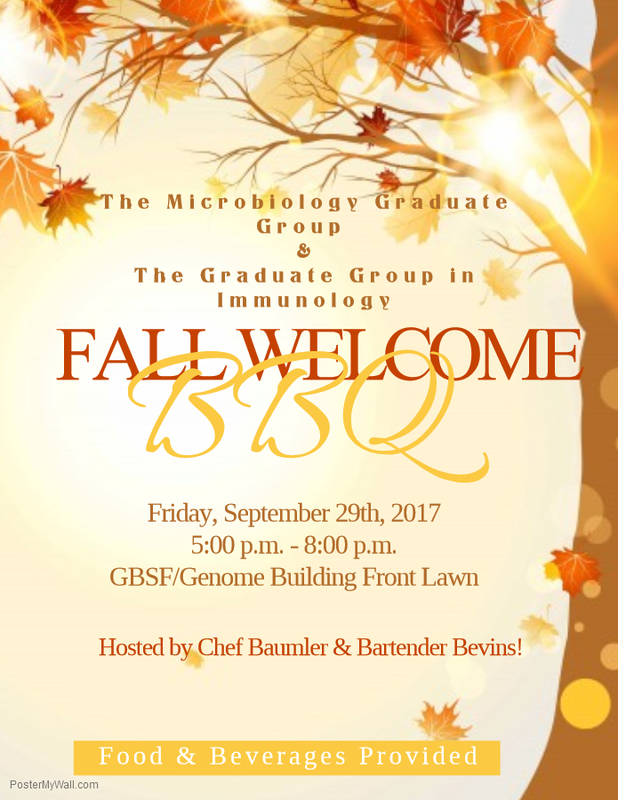 Fall 2017 Welcome BBQ with students and faculty from the Microbiology Graduate Group and the Graduate Group in Immunology. 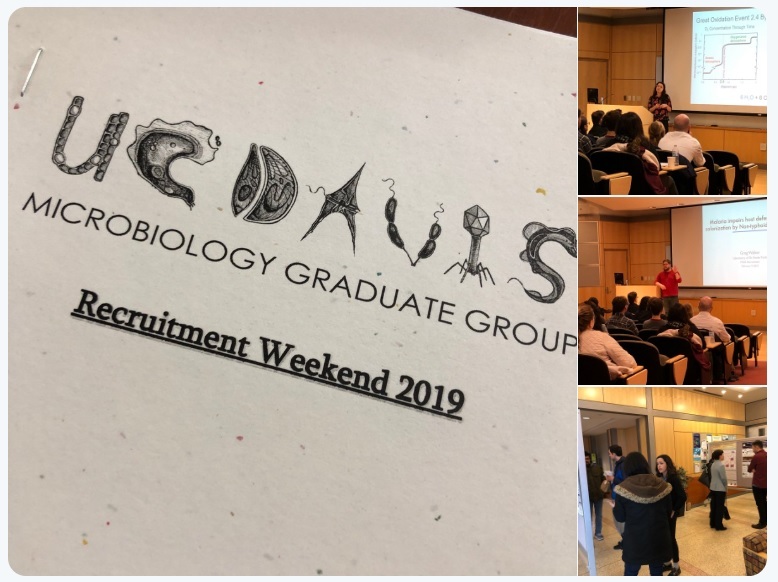 Special thanks to Dr. Andreas Bäumler for grilling and to Dr. Chuck Bevins, Dr. Renee Tsolis, Jessica Drushell, and Jessica Toan for hosting (Photo by Jessica W. Toan)! 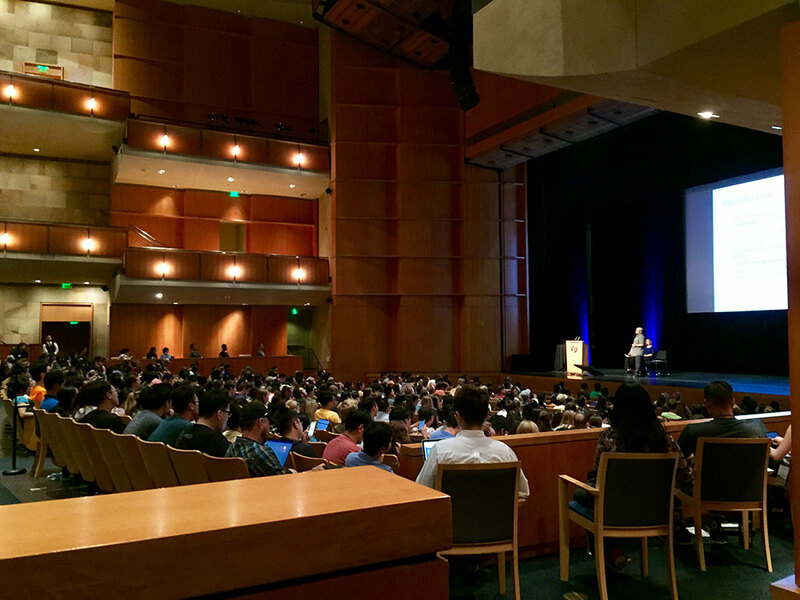 We were excited to welcome all the new students at Graduate Student Orientation 2017! 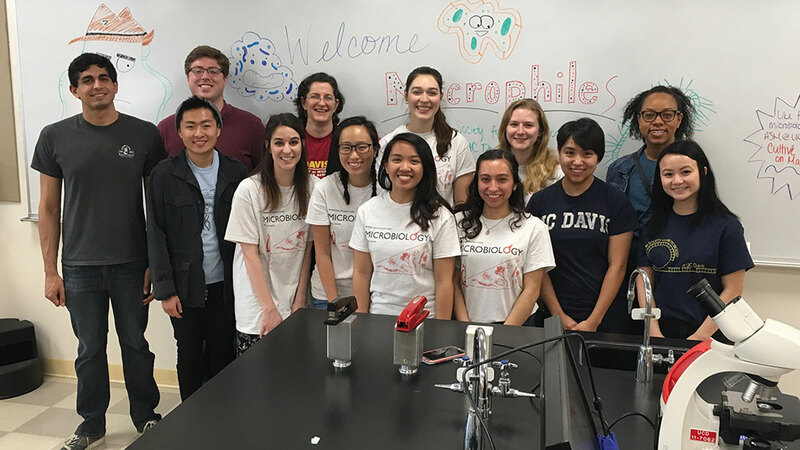 Special thanks to MGG Student, Jessica Franco, who also helped out (Photo by Jessica W. Toan)! 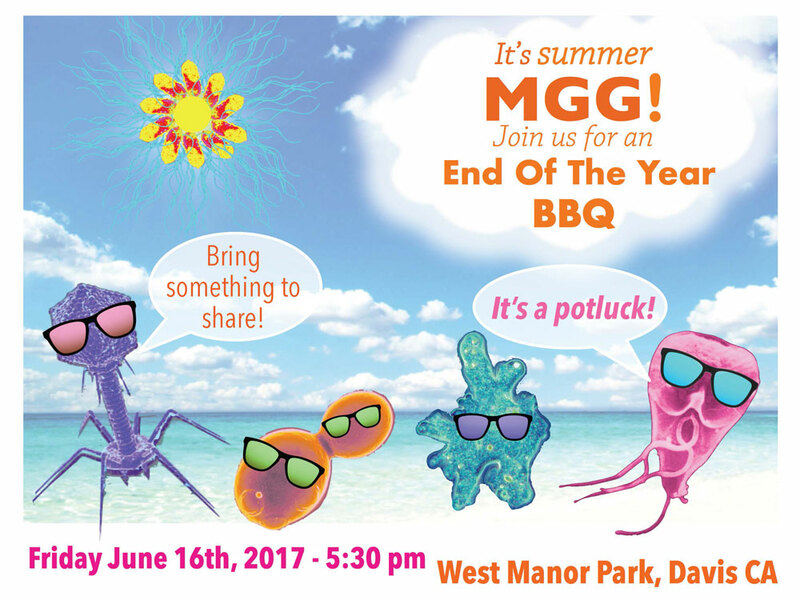 During the 2017 Picnic Day, MGSA helped with the Microbiology Exhibit, a family-friendly and hands-on event where visitors can learn about everyday microorganisms (Photo by MGSA). 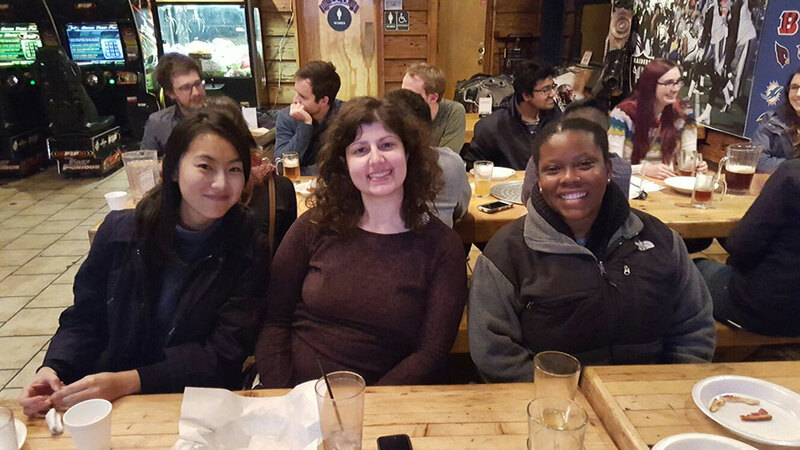 MGSA Winter Quarter Party (Jan 2017, Photo by MGSA).